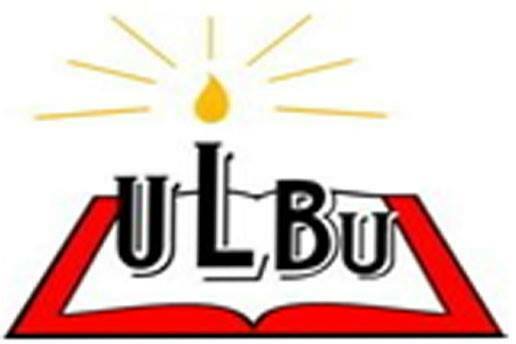 ULBU is a project of the Center of Production and Distribution of Christian Literature, "CEPRODILIC" in acronym, a non-profit organization working in Burundi since 1989. It is a private (non-state) university institution governed by Law n ° 1 / 22 / of December 30, 2011 Bearing Reorganization of Higher Education in Burundi, its decrees and ordinances of application. The statutes of Bujumbura University of Light were authenticated on 24 March 2000 by the Notary Office of Bujumbura and are the subject of Act No. M / 810/2000. Its opening was authorized by the letter of the Minister of National Education No. 610 / NS / 1245/2000 of June 13, 2000. The effective start of its activities took place on September 25, 2000. ULBU conducts its activities in its own premises adapted to higher education. It has four campuses on different sites in Bujumbura Town Hall: Campus MUTANGA NORD with 18 classrooms of different sizes; KININDO Campus with 14 classrooms of different capacities; KAJAGA Campus housing the Center for Scientific Conferences and Meetings (CECORES) on the road to Gatumba and KUBUMENYI COMPOUND Campus located at Avenue du Large shortly after the Kinindo market. This center has a large conference room, 4 training rooms, a dining room and a kitchen.